An absolute must in every woman's arsenal. 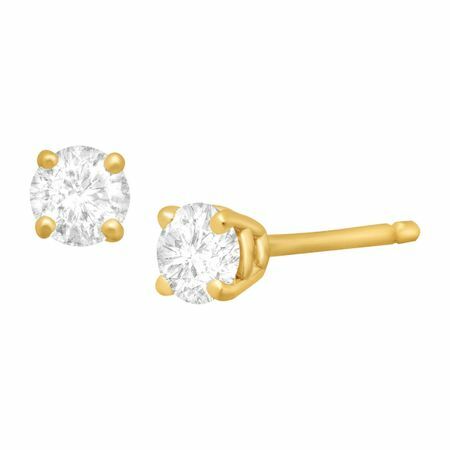 Two round-cut diamonds totaling 1/4 ct glisten in warm settings of 14K gold. Pieces measure 1/8 by 1/8 inches.